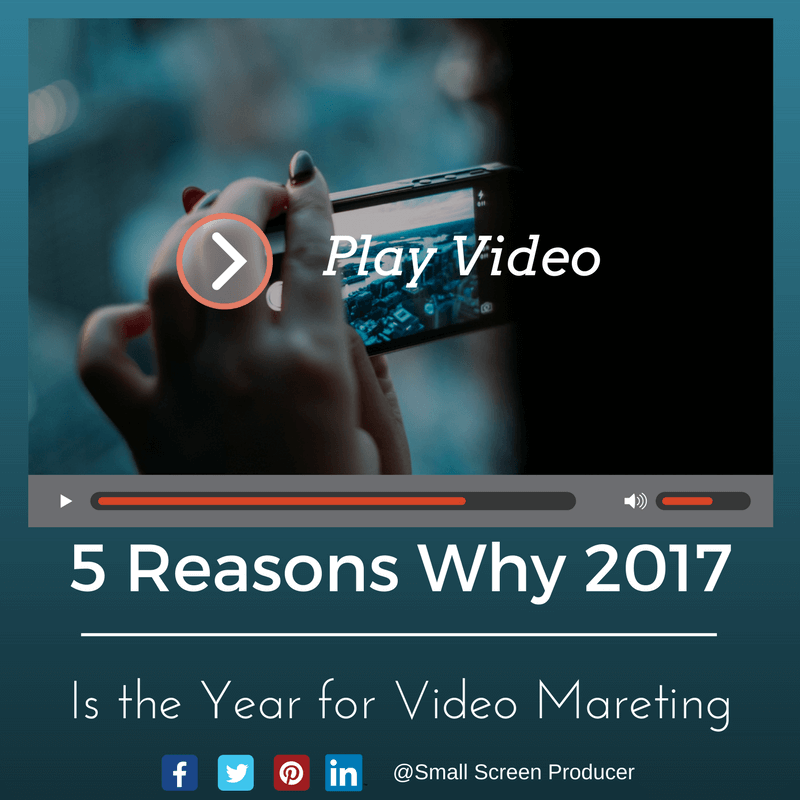 Video marketing is becoming more important by the year. As we head towards the halfway mark of April, it is clear that video marketing is a key content marketing channel for all brands and businesses. Half a billion Facebook users are watching online videos directly from Facebook, whether that be by visiting other peoples’ personal pages, scrolling through their Newsfeeds, or encountering ads. But here is something even more interesting: 85% of these videos on Facebook are being watched with the sound off. Videos give email marketing campaigns a definite boost. 33% of tablet owners spend one hour of each day watching videos on their device. This means that a whole lot of people are watching online videos while they are on the go. Every day, 28% of smartphone users are watching a video from their device. Websites which feature videos will hold visitors for an average of 2 minutes longer than websites which do not. Small Screen Producer will take care of every aspect of your video marketing campaign. From the ideation and creation of your videos to monitoring and measuring their effectiveness, we have got you covered.